Home » Car Seat Safety For Kids: Is Buckling Up Just Enough? Buckling up is a major gesture which is indeed compulsory before going for a ride, whether it is a quick errand or long drive. It seems that 80 to 90 percent of car owners and car riders have this automatically done. Parents, as well, will always make sure their children are safe and secured every time they go out. However, even with those seatbelts on, accidents still occur, especially on children and infants. To avoid these tragic events, there is something you should definitely do – buy the best convertible car seat on the market for your children. 4 Don’t Forget to Buckle Up! Safety belts or seatbelts are designed to secure riders and motorists against any possible danger while inside the vehicle. They do play a major role to the car’s safety but not everyone could benefit from its safety feature. Choosing the right car seat for your child would be the best solution. Your child may not be a-hundred-percent secured with those seatbelts on, the most appropriate car seat ensures safety and comfort to your child. However, there are certain points you have to do first before buying one. Determine the age, weight and height of your child. Check the available space you have inside your vehicle. After crossing these all out on your to-do list, you will be able to determine which convertible car seat to buy. There are different types of car seats to choose from. Infant Car Seats – these are designed for babies who are up to 15 months of age and with the weight limit of 22 pounds. 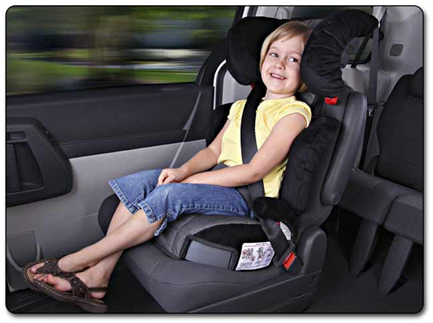 Convertible Car Seats – This type is divided into two – the rear-facing and forward-facing. The rear-facing car seat is designed for children from ages between 9 months to 4 years old. The forward-facing car seat, on the other hand, is designed for children from age 4 to 6. Booster Seats – This type of car seat is designed for those who outgrew their convertible seats. Their market is usually the 4-year-olds up to 10 or until they no longer fit the forward-facing car seats. These types of car seats are what most parents recommend for their children. Each is specifically designed according to the child’s age, weight and height. Though mentioned above are limited to a particular age group, car seat manufacturers are still responsible for providing the height, weight and age restrictions for their products. Do not use a car seat that is second-hand, rented or borrowed. You would not know the history of those car seats, if they were recalled or they had any previous damages before. Moreover, always choose the most appropriate seat, the one that is compatible to your child’s age, weight and height. The car seat should not be too big or too small for the child. It should always be the perfect fit unless it will not effectively work. Another reminder to keep in mind, do not place the car seats in the front seat. Airbags are available in most vehicles. Once they are activated, the impact might be fatal for the child. Seatbelts are customized for adults and young adults. It reduces and even prevents the impact from a collision or any car accidents. So imagine a child, an infant or toddler fastened on a seatbelt and a tragic accident occurs, he may acquire fatal injuries and could even die. Buckling up is indeed not enough. Uncovering all these facts, you may be convinced how with just buckling up may cause even more tragic results. They are not designed for kids and undoubtedly won’t perfectly fit. Though some parents will still not take such precaution or make adjustments regarding the car seat safety, they should still consider getting a car seat for their children. It may cost a bit but you can find the best one on the budget. Though your kids are not yet ready for the vehicle seatbelts, it is best to educate them and establish the importance of buckling up. Then so, as they grow up, they will know how important and life-saving buckling up is. It may look simple as it is, but it is actually a great deal. Kids observe and they see and copy whatever actions their parents do. As a parent as yourself, you also have to set an example how seatbelts should properly be buckled. 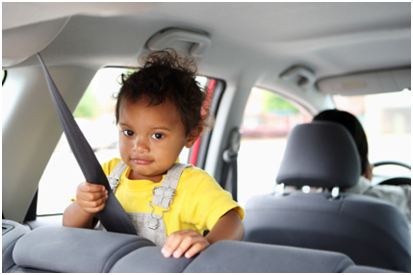 While they are still too young for those vehicle seat belts, you should provide the best care and security for them. Browse among the car seat stores and manufacturers, take note of the reminders mentioned above, choose the best car seat and buy it! DOT or Department of Transportation reported that a total of 1,552 kids that range from the age between 8 and 14 died during a car crash because seat belts were not worn. This unfortunate incident is something you would not want your child to be involved in the long run. With just one mistake of not buckling up or with the wrong choice of a car seat, everything could change. This statement is a reminder for all parents who have to take buckling up seriously. May it be for a long drive or just a short drive on a store nearby, you still have to keep those seat belts on. Never ever forget to buckle up! For children who cannot use vehicle seat belts, their car seats whether they are infant seats, booster seat, rear-facing and forward-facing car seats and booster seats, all are installed with harness, straps and belts as well. Parents should never forget to buckle them up and to properly put all of those on.